Your leather is your pride and joy, and it’s vital to you that it be maintained in good shape. Whether it’s the leather sofa that is the focal point of your living room decor or the soft leather seats in your luxury car, you love your leather. At Leather Repairs Oxford, we offer a full range of on-site leather repairs and care treatments to help lengthen the life of your leather. Don’t trust anyone less than the best with your precious leather – call Leather Repairs Oxford today. No matter how gently you care for your leather, at some point it will need the care of a leather expert. At Leather Repairs Oxford, we’ve got all your leather repair needs covered. Our on-site leather repairs team will come to your home or workplace to keep your leather looking and feeling as good as when you first bought it. We provide repairs for scratches, scuffs, rips and tears of all sizes. We can also remove stains, colour fading or dated leather and provide treatments to renew your leather’s finish and protect it from damage. No job is too big or too small for our on-site leather repairs team at Leather Repairs Oxford. 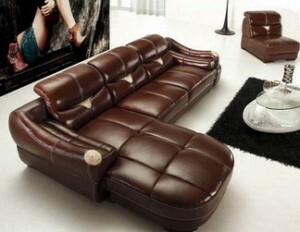 Our expert leather craftsmen are all highly trained and skilled in all types of leather repair. We use only the best leather care products on the market to ensure you’ll get results you’ll love when you trust us to repair or care for your leather. Our on-site service saves you the time and hassle of dragging your leather in to a shop for repairs. These are just a few of the many reasons you should choose Leather Repairs Oxford. See why so many people in an around Oxford won’t trust anyone but the Leather Repairs Oxford team with their leather sofas, chairs and car upholstery. Call us today to request a free quote or discuss your on-site leather repairs. Our experts are standing by, ready to help renew your leather and make it last for a long time. Call Leather Repairs Oxford now.